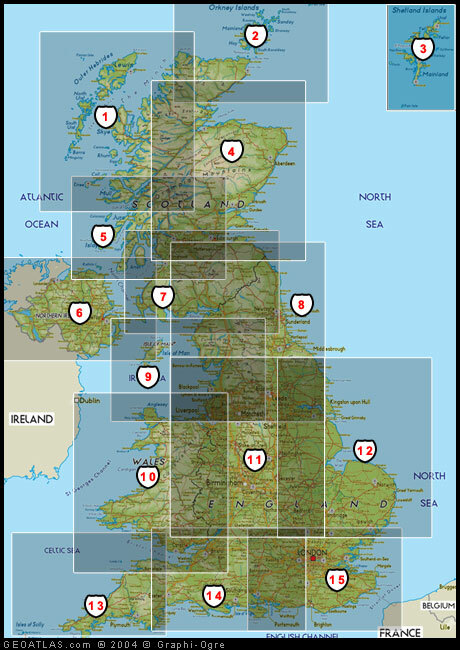 Map of UK is a site dedicated to providing royalty free maps of the British Isles, Great Britain and Northern Ireland, maps of British cities and links of maps to buy. Click on the shields on the map below to see a larger view of that section of this map of the UK. USE OF MAPS: All original maps on this site may be reproduced on other web sites without modification, provided a link to this website is show alongside each map. Please also notify me that you have done so. All maps marked as copyright other than © Map of UK or © Rob Hilken are not permitted for use without permission of the copyright holder.